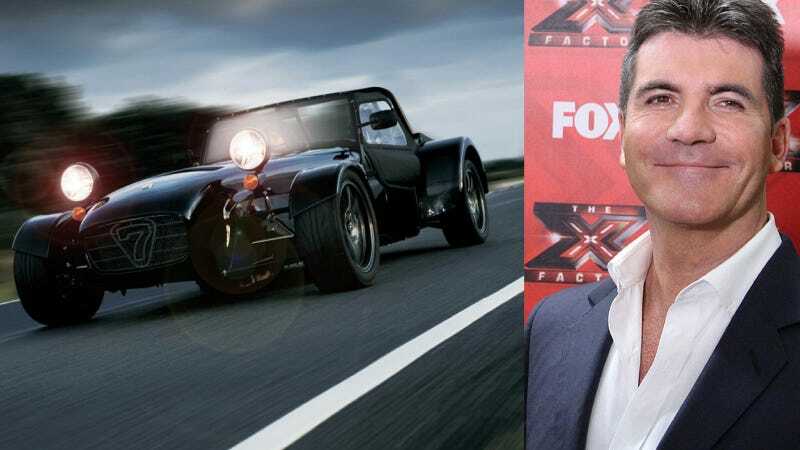 Simon Cowell Picked The Best Car Imaginable To Drive Around L.A.
Simon Cowell may be best known for being mean on American Idol and now The X Factor, but he's also into cars. Big and powerful cars, like a Bugatti Veyron or a Rolls-Royce. But it turns out all of the talk of downsizing and moving to four-cylinder engines has caught up to him and he's choosing to drive around Beverly Hills in something more compact. According to the Daily Mail, Cowell was spotted taking delivery of his new Caterham Se7en CSR this week at his home. Now it looks like he's taking it to work, taking it to dinner, you know, the usual things you do when you have a Caterham as your 17,000th car or something like that. Turns out, he drove the car a few months ago and fell in love. Looks like he's still a fan. I can see why Simon might prefer the Caterham for driving in LA because there's nothing more embarrassing than confusing someone else's Bentley for your own. That stuff probably happens all the time in his neighborhood.